There's a reason they call her Killer Bee. This 1:4 scale statue of Cammy is limited to 500 pieces! She includes a detachable fabric cape and a signed certificate of authenticity. A worthy addition to your Street Fighter shelf! Cammy White, code name "Killer Bee," includes a detachable fabric cape and a signed certificate of authenticity. 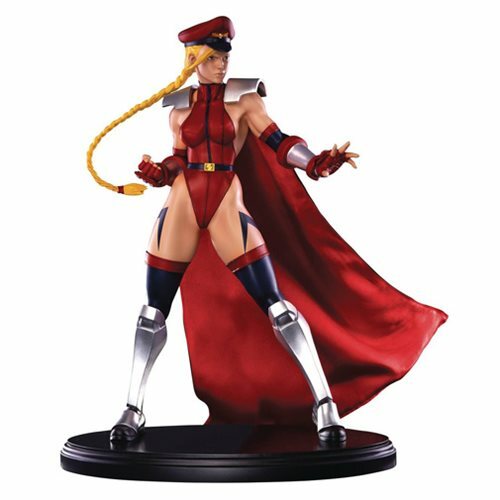 The Street Fighter Shadaloo Cammy 1:4 Scale Statue is limited to only 500 pieces worldwide, so grab her now!